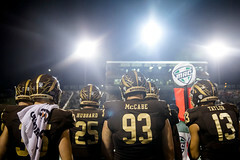 Uplifting Athletes hosted Roberta Smith and her daughters for an Uplifting Experience at the August 31st Rare Disease Awareness Game between Syracuse and Western Michigan in Kalamazoo, Michigan. We were fortunate enough to learn Roberta’s Rare Disease story and we are honored to provide the platform for Roberta to share her story. You look left, you look right but it’s just you. Starting in rare is like walking a path alone. Rare, most often, is not something you find common ground on with anyone around you. Meeting others traveling a similar path is often arduous and challenging. Geographic distance or unsuccessful searching contribute to the lack of connection. Rare disease can feel isolating. It can be hard for family, friends, neighbors, and co-workers to fully understand what is happening and it can be hard for anyone to explain. Often, when people try to relate, they connect by sharing personal medical experiences, Google search results or home remedies. Under the stress, this tends to drive a wedge in relationships and over time makes them uncomfortable. Attempts to explain the medical turmoil or include loved ones in the experience becomes very difficult, despite good intentions all around. This leaves a rare disease family feeling alone in many cases and that’s a horrible place to be when trying to survive a rare disease life change and the challenges that come with it. I never imagined the weight or impact of “alone” on families until I experienced it personally. My sense of hope, ability to find happiness, relate, maintain a job, friendships and relationships were all deeply affected when my family was inundated with the daily chaos of “rare”. I’m Roberta Smith, President of Alagille Syndrome Alliance (ALGSA) and mom to 14-year-old twin daughters, Cloe and Claudia. This is my journey as a mother of a rare child. I was 26 years old when I strapped in for the rare disease ride and my life would forever be changed. Since she was born, Cloe has battled the rare disease Alagille Syndrome (ALGS). This syndrome can affect multiple organ systems including liver, heart, and kidneys, as well as, the skeletal and vascular systems. ALGS is completely unique to everyone who has it. Varying degrees of severity and involvement make ALGS a very complex rare disease to understand, treat, and research. With more than 7,000 rare diseases, stories inside the rare disease community, like mine, all have similar threads. Sharing stories builds awareness and shines a light on the difficult day to day struggles our families endure. Stresses like maintaining employment, divorce, financial strain, medical challenges make life stressful. These all contribute to feeling alone and can result in very heavy feelings of guilt and emotional turbulence. In rare we can’t be alone. Rare needs to be inclusion. The first 100 hours of our journey was filled with fear, confusion, and upset. Being told Cloe’s liver enzymes were very indicative of “liver disease”, we struggled to grasp the depth of that term. During the initial few days we traveled to a big hospital, hours from home. We didn’t realize we would be there for many days. Overwhelming was the testing, constant lab draws, and the continual swarming of medical professionals from different specialties. We tried to grasp what each one’s part played in the liver disease diagnosis. Fatigue became our normal state. Emotions ran high. Financial worries continued to rise as we learned about different organ involvement and increased medical issues. Like starting a big puzzle, we had no idea what the overall picture would be and we were scared. It was a storm of complete and utter anguish. A confusion of chaos and frenzy that came with no warning. We learned quickly that appointments, travel, and hospital stays were going to be commonplace. Getting home after the first inpatient stay didn’t allow for rest. Cloe’s appointment schedule became erratic and daunting. The road to diagnosis proved to be extremely difficult. We didn’t understand what being our own advocate meant and as a result endured extraordinary and unnecessary inconveniences like traveling far for simple imaging and attending separate appointments with specialists that could have been combined. We learned over time and with experience how to navigate the issues, but each contributed to the overwhelming nature of the situation. After a whirlwind 2 months, Cloe had a diagnosis. We didn’t know it at the time but an introduction to a rare disease like Alagille Syndrome was something many families never get and a diagnosis at 2 months was faster than most. Along with that, when a rare disease is identified, it’s usually unheard of by most medical professionals and individuals. The stress of a horribly busy medical schedule lead to my resignation at work and our lives became entrenched with activities surrounding Cloe’s Alagille Syndrome. As her medical involvement unfolded, we became very aware that this was a diagnosis filled with complexity and uncertainty. Learning everything about it became my mission and being invested in every appointment was important to me. Through Cloe’s testing I learned about Nuclear Medicine. While holding Cloe still during a scan, a kind technologist taught me why this imaging was important. Our conversation turned to schooling and eventually a career path opportunity presented itself. That evening after I laid the kids down I applied to the only university in Michigan who had a Nuclear Medicine program. I formulated a long-term goal I could latch onto and hoped it would help alleviate the financial situation we found ourselves in since ALGS came into our lives. With a 3-year wait list, I figured I’d know just how severe Cloe’s ALGS was and prayed the dust would settle by the time the program opened up for me. I needed something to focus on. I didn’t want to get swallowed up in the grief of the situation. Tensions at home increased, as did the strain of home medical care responsibilities. Cloe’s failure to thrive became a big obstacle resulting in NG-tube placement with midnight feedings on a pump, a care plan I learned to execute myself. Placing the NG-tube was difficult. Pushing the tube into Cloe’s nose, checking for placement with a stethoscope, measuring the feeds, pump speeds and settings … it was a whole new world and one that I took seriously. Unfortunately, as Cloe’s health declined, the relationship between their dad and I also suffered. Shortly after the twins’ first birthday, we separated and ended a long-term relationship that would continue to waver on and off due to the extreme responsibility that came with our rare disease journey. An opportunity to start into the Nuclear Medicine program at Ferris State University came earlier than expected. I moved closer to family and, with my sister’s help, was able to attend classes and work through a challenging degree during some of the most difficult medical times for our family. I took my final exams at my daughters’ bedside during a 14-day hospital stay. Recognized by my peers and professors for fighting through significant adversity to achieve my degree, I was awarded the FSU Maria Gordoba Award. Adversity is what every family endures when dealing with a rare or undiagnosed disease and with adversity blossoms growth, knowledge, and opportunity. Maintaining a positive attitude helped push me forward, holding close the one-day-at-a-time motto. Alagille Syndrome has without a doubt been a life altering challenge, but I feel it’s led my family on a path we were meant to be on. The gifts I’ve taken away from this experience are humbling. Working through the Alagille Syndrome Alliance to bring hope to other families and contribute to solutions that could have helped my family are so important to me. Today my daughter with ALGS is thriving. Involved in a clinical trial and currently medically stable, Cloe is an amazing girl. Our family advocates and engages deeply in the success of our ALGS community fighting for better treatments and a cure for Alagille Syndrome. Finding the silver lining through the darkness, a real challenge, has allowed us to help others. Alagille Syndrome is a rare disease. It’s complex, unpredictable, and difficult to navigate and it’s something I thought would destroy my family. What started as a journey alone has turned into a journey with a beautiful community all working to make the world of rare disease less isolating. Rare should not mean alone. It should not mean scared, financially broke, without employment, or divorced. Rare should mean inclusion. It should mean better treatments, a road to a cure … it should mean together we will get through. 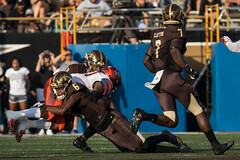 This entry was posted in Rare Disease Awareness, Syracuse, Uplifting Athletes, Uplifting Experiences, Western Michigan. Bookmark the permalink.